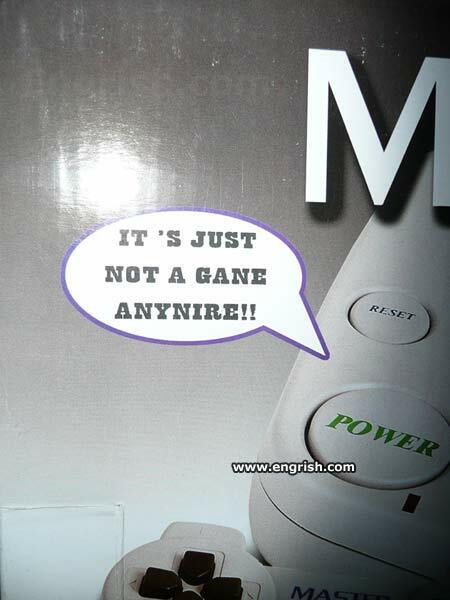 All Your Base.. aside, there are quite a number of older video games containing Engrish that were sent in over the past few years. Speak into the ear Michael. Photo courtesy of Rachael Gordon. 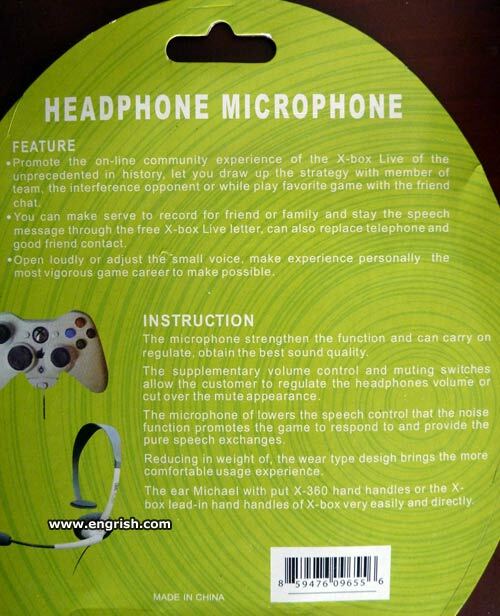 Xbox 360 headset from China. Photo courtesy of Elizabeth Giles. 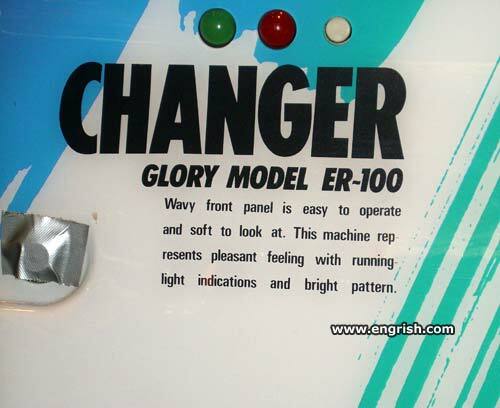 Change machine found at video arcade in Hiroshima, Japan. Photo courtesy of Francisco Toledo Correa. 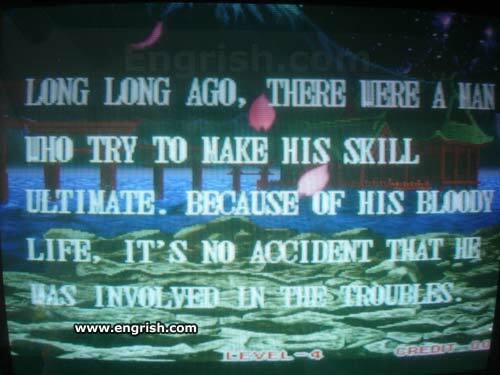 From an old Samurai Showdown II arcade machine. 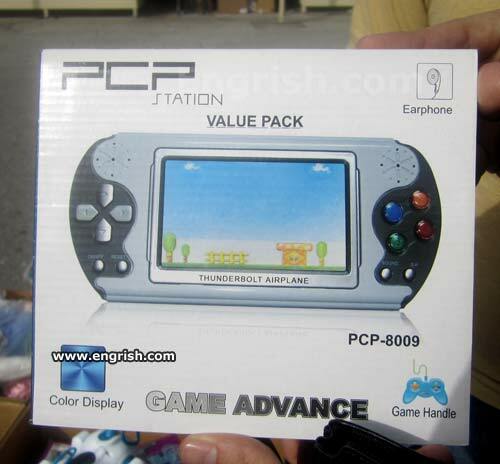 Play Super Mary on your PCP! Photo courtesy of Rachel Kreynin.